Your bike’s seatpost may seem like an insignificant part of your bike – nothing more than a tube that connects your saddle to the frame. However, what many people don’t realise is just how important of a role it plays in how comfortable riding your bike is. 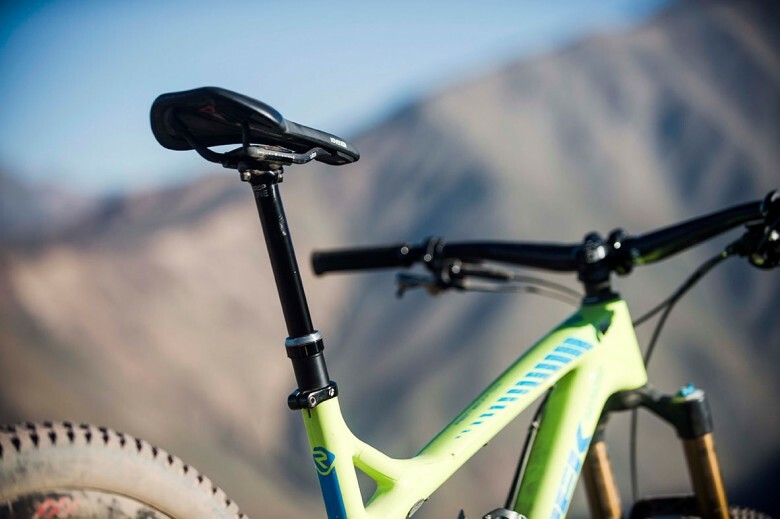 While most standard seatposts are identical in function and form, there are a few subtle differences you should know about when upgrading yours. These include materials, sizing, the amount of layback and clamp type. The most common materials bike posts are made of are carbon fiber and aluminum. Aluminum is more commonly found on low to mid-range bikes, simply because it’s more affordable. Carbon fiber is primarily used on premium bikes due to the fact that it’s more expensive, but also more comfortable due to the vibration absorbing properties it boasts. Furthermore, carbon is the lightest material on the market. Aluminum, however, has its own advantages over carbon fiber, especially for trail and mountain bikers where the extra strength is appreciated. As far as layback goes, a seatpost shaft can be either inline (straight with no bends or kinks) or layback (with a shallow-angled bend). There is no right or wrong choice here as it mostly comes down to personal preference. 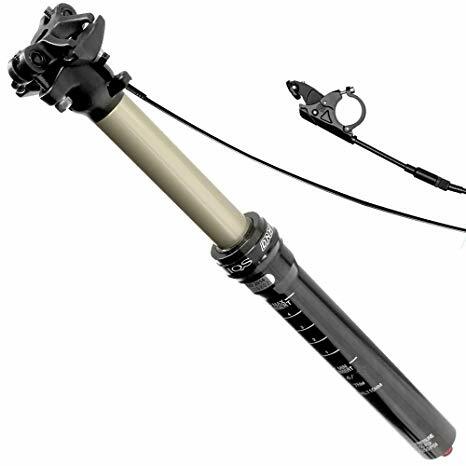 However, there are also two noteworthy non-standard seatpost designs – the aero and the bike dropper seatpost. Aero posts are typically used for TT and road racing, and they feature an elliptical blade cross-section that offers improved aerodynamic performance. 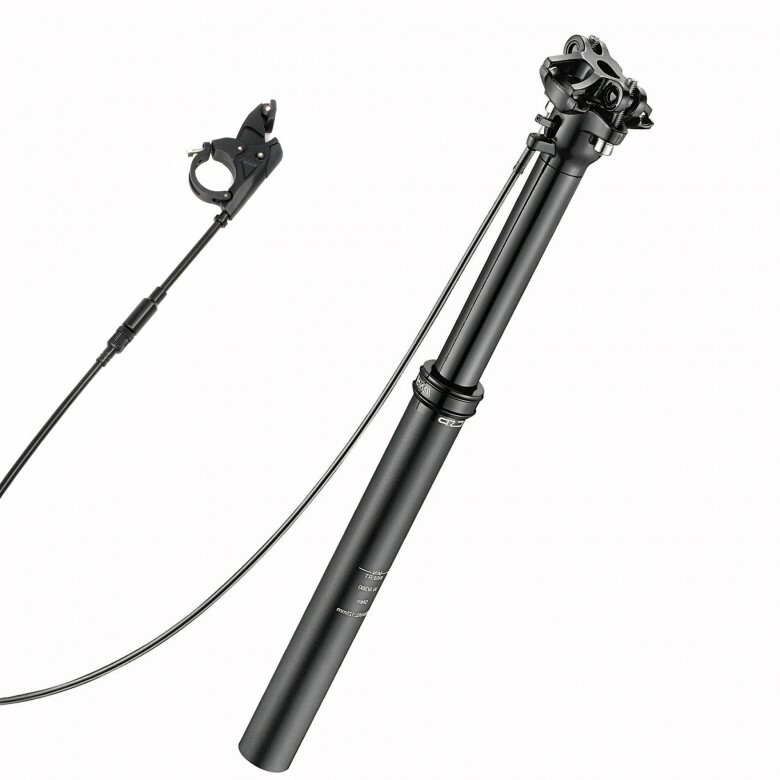 On the other hand, bike dropper seatpost models are popular among trail and MTB riders and feature a telescopic hydraulic post that’s instantly height-adjustable through a bar or a saddle mounted switch. When it comes to size, the most important things to consider are the seatpost’s diameter and length. The diameter has to correspond to the internal diameter of the seat tube so that it can properly fit. Most modern bike frames generally have either 27.2mm, 30.9mm or 31.6mm of seat tube. The length, on the other hand, is more important for comfort. How much of the seatpost should stick out will largely depend on your dimension. Typically, you don’t want much of the seatpost to remain inside the frame, as you risk cracking the tube that way. And lastly, the clamp type. Most seatposts feature a clamp that’s designed to accommodate twin-rail saddles, with two bolts to secure the top part of the clamp. The clamp bolts can be loosened to allow you to move the saddle to your preferred position, and most posts also offer a slight degree of tilt adjustment. Some heavy-duty saddles use oversized rails that you need to double-check whether the clamps can accommodate or not. However, there are also some manufacturers that use a single-rail iteration that requires the use of a specific type of saddle.